Changing a new working post is not an easy thing to be done. It is stressing and it makes you a bit scared, because you are confronted to new conditions, new people, new bosses. It takes time to make the place a new 'home'. Your doubts grow when you try to find out who are your new colleagues, who you are going to spend half of the day with. And the confusion comes when you start asking yourself, weather you made the right decision, did you have to leave your precedent post. Martha, Carl and Judith are the new employed office assistants. Today is their first day at work and they need to manage somehow. 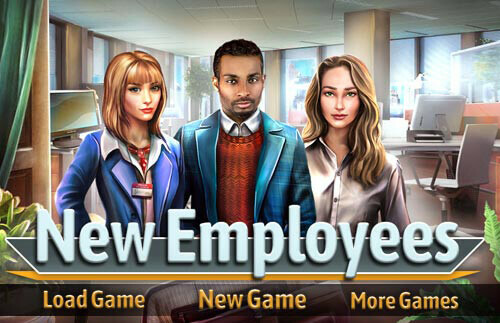 Our player has the role of senior worker who will help them find the needed objects in the offices. Working as office assistants is a hell of a difficult job and needs good concentration, smile on your face and dedication.